Suicide Squad introduces a motley crew of characters both new and old. 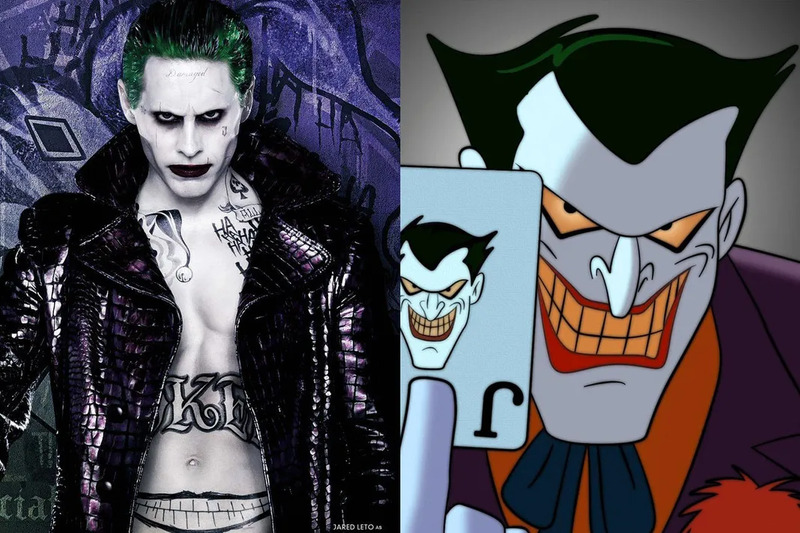 While some of them are making their first ever appearance on the big screen in the upcoming Suicide Squad film, many of them have already appeared before in an animated series. Of course they’ve all received stylish updates for the big film but read on to see what they looked like during their animated days! Batman's most infamous archenemy made his first animated appearance on Batman: The Animated Series in the episode "Joker's Favor." In the episode, The Joker attempts to plant a bomb at a testimonial dinner for Commissioner Gordon by hiding in a cake and sneaking in, but is foiled by the Dark Knight. The clown prince of crime is voiced by Mark Hamill a.k.a. Luke Skywalker in the TV series and is played by Jared Leto in Suicide Squad. Harley Quinn a.k.a. Harleen Quinzel also made her first animated appearance alongside The Joker on Batman: The Animated Series in the episode "Joker's Favor." She has been The Joker's criminal accomplice, girlfriend, and former psychiatrist at Arkham Asylum. 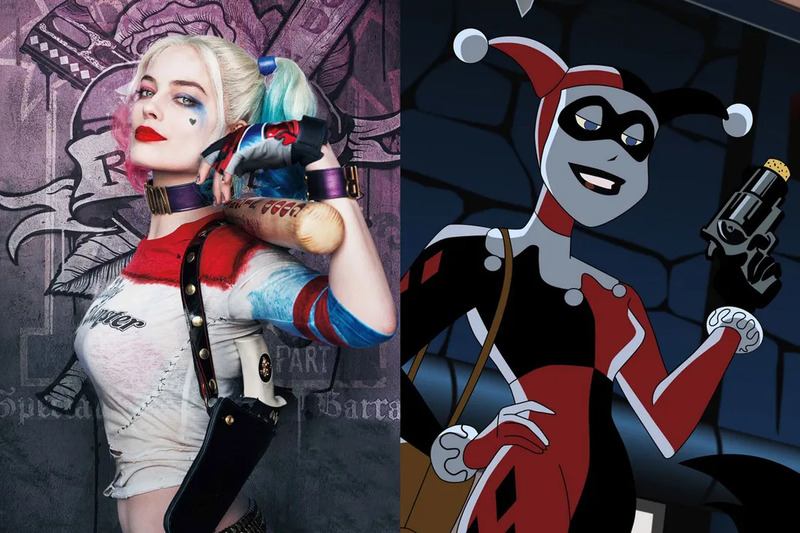 She is voiced by Arleen Sorkin in the animated series and is played by Margot Robbie in Suicide Squad. Deadshot a.k.a. Floyd Lawton made his first animated appearance on Justice League in the episode "The Enemy Below (Part 1)." In the episode, he is hired by Ocean Master to assassinate Aquaman but is thwarted by the League. He later appears in the Justice League Unlimited episode "Task Force X" (the TV version of Suicide Squad) alongside Captain Boomerang and Rick Flag where they attempt to infiltrate the Justice League Watchtower. 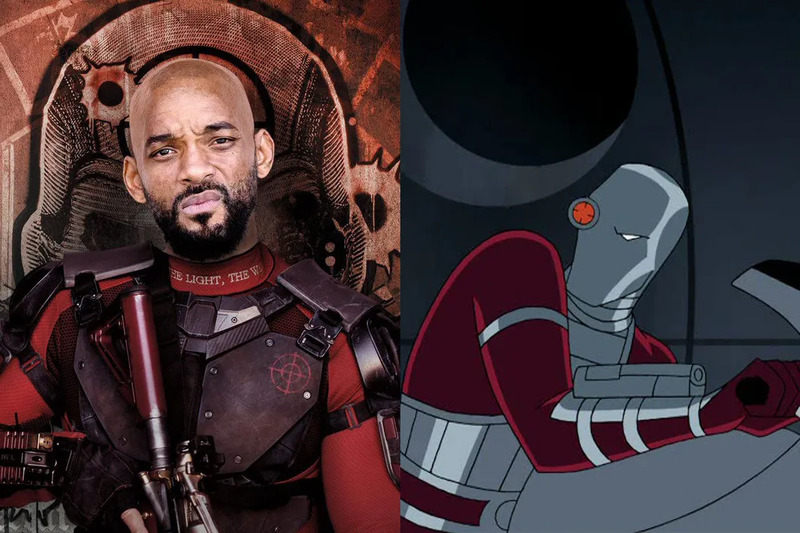 He is voiced by Michael Rosenbaum in the show and is played by Will Smith in Suicide Squad. Captain Boomerang a.k.a. George "Digger" Harkness is a villain from the rogue gallery of The Flash. Boomerang makes his first animated appearance in a commercial for Flash's Lightspeed Energy Bar on the Justice League episode "Eclipsed." He shows up again in Justice League Unlimited along with Deadshot and Rick Flag in the episode "Task Force X." He is voiced by Donal Gibson in the animated series and is played by Jai Courtney in Suicide Squad. Killer Croc a.k.a. Morgan is a deformed criminal with reptile qualities. He made his first animated appearance on Batman: The Animated Series in the episode "Vendetta." 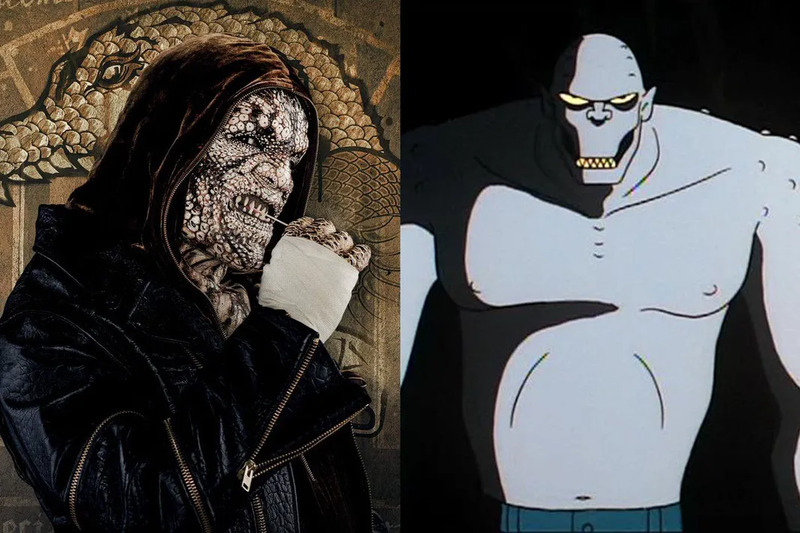 In the episode, Batman learns that Killer Croc was once a freak show attraction, then became a champion pro wrestler, and then eventually turned to a life of crime. He is voiced by Aron Kincaid and Brooks Gardner in the TV series and is played by Adewale Akinnuoye-Agbaje in Suicide Squad. Colonel Rick Flag Jr. only makes one animated appearance on Justice League Unlimited in the episode "Task Force X." 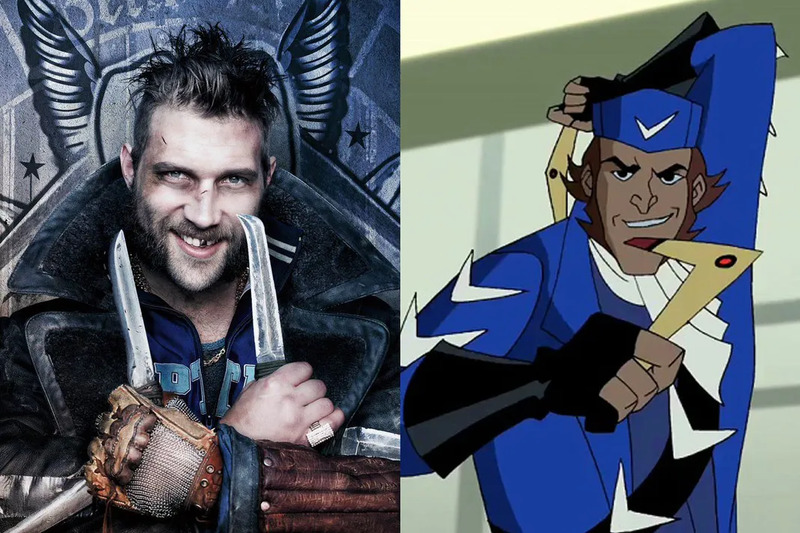 While Deadshot uses guns and Captain Boomerang wields his boomerangs, Flagg is shown to not need any weapons and is capable of fighting other superheroes unarmed. 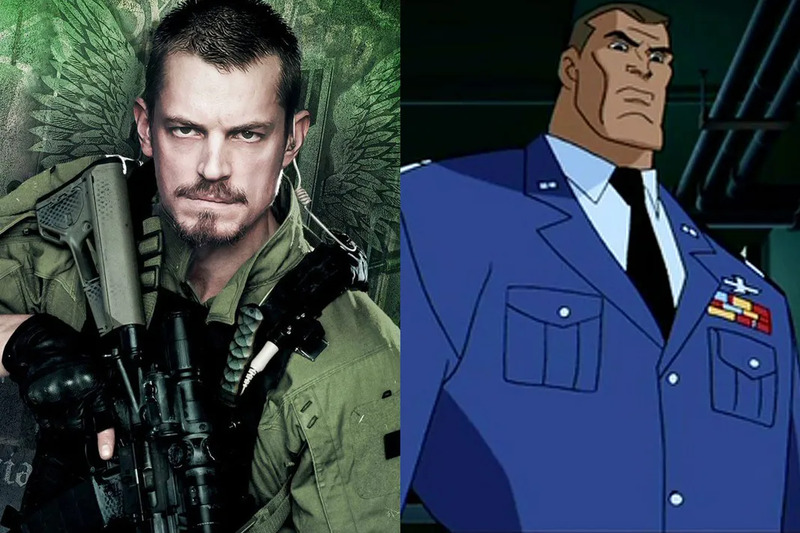 He is voiced by Adam Baldwin in the animated series and is played by Joel Kinnaman in Suicide Squad. Amanda Waller was appointed the leader of Project Cadmus which sought to counter the Justice League in case they ever went rogue. She made her first animated appearance on Justice League Unlimited in the episode "Ultimatum." In the episode, a new group of superheroes called the Ultimen show up and start saving the day though the League is suspicious of their origins. It is later revealed that the Ultimen were genetically engineered by the U.S. government to be living weapons to counter the Justice League. In the episode's climax, Amanda Waller shows up to retrieve the Ultimen during a conflict with the League. 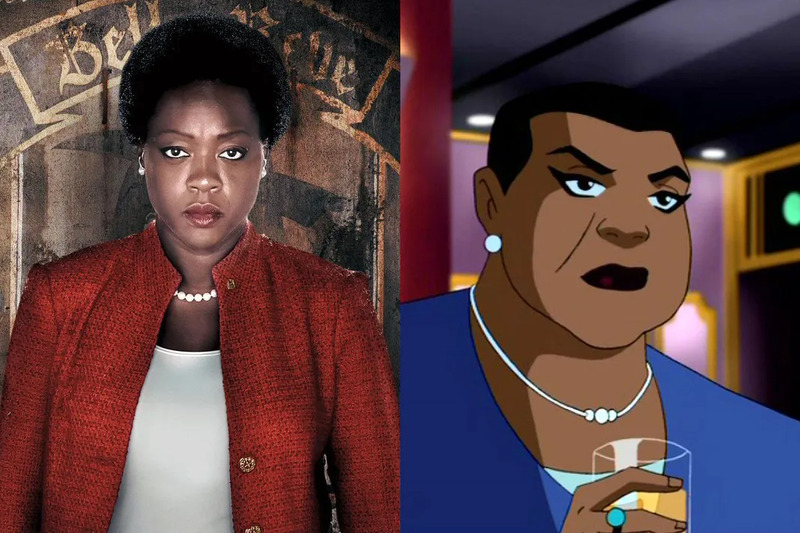 She is voiced by Carol Christine Hilaria Pounder in the show and is played by Viola Davis in Suicide Squad.